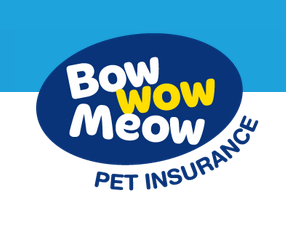 Bow Wow Meow is an Australian-owned business that has been providing services to pet owners since 1995. We started off providing personalised pet ID tags and in 2008 we launched our Pet Health Insurance offering. We have received a high level of support from the veterinary community, who appreciate that we are pet people, rather than a big faceless insurance company. Yet, as we are underwritten by The Hollard Insurance Company Pty Ltd, Australia's leading pet insurer, we are just as safe and secure as any of our competitors. Since our launch, more than thirty thousand pet owners have found the benefits, options and costs of our policies to be very attractive. - The Master Dog Breeders & Associates awarded us as the 'Best Pet Insurance Provider' for 2012 and again for 2014. - Choice Magazine rated our Major Medical Plan as a Pet Insurance Best Buy in the Major Medical Category. Barefoot Investor recommended our Major Medical cover in its 'Best Pet Insurance on the Market' column. For a quote please visit our website or call (8:30am - 5pm EST/ Mon - Fri) or for more information please visit our website.